I am so excited to hear that Andrew Peterson has started a new Kickstarter campain that will launch the Wingfeather Saga into a whole new world. There are authors that I really enjoy and will read again and again and then there are authors that I could read back to back rather than spacing it out. Andrew Peterson is one of the back to back authors. I could honestly read and re-read the Wingfeather Saga back to back year in and year out. Yes! It is that good. Take a peek and see what they are about. You won't be disappointed! Drums summon the chieftain’s powerful son to slay a man in cold blood and thereby earn his place among the warriors. But instead of glory, he earns the name Draven, “Coward”. When the men of his tribe march off to war, Draven remains behind with the women and his shame. Only fearless but crippled Ita values her brother’s honor. The warriors return from battle victorious yet trailing a dire curse in their wake. One by one the strong and the weak of the tribe fall prey to an illness of supernatural power. The secret source of this evil can be found and destroyed by only the bravest heart. In a village along the river Hanna lives a timid young girl in need of some courage. She is one of many in a large family and it is easy to get lost in all of the business so that she isn’t really noticed. I know that we have all felt that way at one time or another, maybe not with our family but maybe at school, at work, in the mall, at the park…just one of many, lost in a sea of people. Very near this village, the building of the Great House is taking place. The house is being built by the Brothers. They do not speak the language of men and yet they are understood. They do not sleep but work day and night. The girl is asked to take a gift up to the Great House where the Brothers are there working hard to build it. Who are these brothers? What is the purpose of this Great House? During the girl’s trek up the promontory to the Great House she struggles with fear and longs to run in the other direction. She faces the Brothers alone and offers them their small gift; each day is the same, a water skin full of fresh water. The girl is overwhelmed with such awestruck fear and amazement while in their presence that she doesn’t now how to act or what to say and can barely finish her task. One of the Brothers speaks kindly to her and he begins to tell her a story about a man he once knew. Bit by bit and day by day she hears pieces of the story. Pressing onward she is intrigued by the tale of Draven, who he was and who he became. She has to fight fear back each time she goes up the promontory to hear more of Draven’s story and yet she longs to sit and listen at the same time. Almost like the child who is afraid to ask for a hug for fear of rejection but asks anyway and is rewarded sweetly. “Won’t you come follow me? Follow me?” I ask you to come away with me on a journey…one of bravery that at first sight looks like humility rather than strength. One that will change you forever… come follow me and hear of the story of Draven’s Light. When reading an allegory I always have many more questions running through my head than I would if I were to read a story that doesn’t have any parallels. I want so badly to pull from the story everything that I possibly can, but do not think this means that I don’t enjoy the journey… I always enjoy every moment of the journey. Words are powerful. When you speak the words of a story in your heart and mind you are feeding yourself with whatever you are reading. It is imperative that you always choose wisely when it comes to the things you read because out of the abundance of the heart the mouth speaks. Whatever we feed our hearts in literacy will spring forth. It is only a matter of time before it does if it hasn’t already. Draven’s Light, to some, it may just be a good story that they liked and would read again and maybe even tell their friends about. To others, this tale will resonate within them and stir a greater truth deep inside. And to those who are being called but have yet to find… may your eyes be opened and may this tale the catalyst. 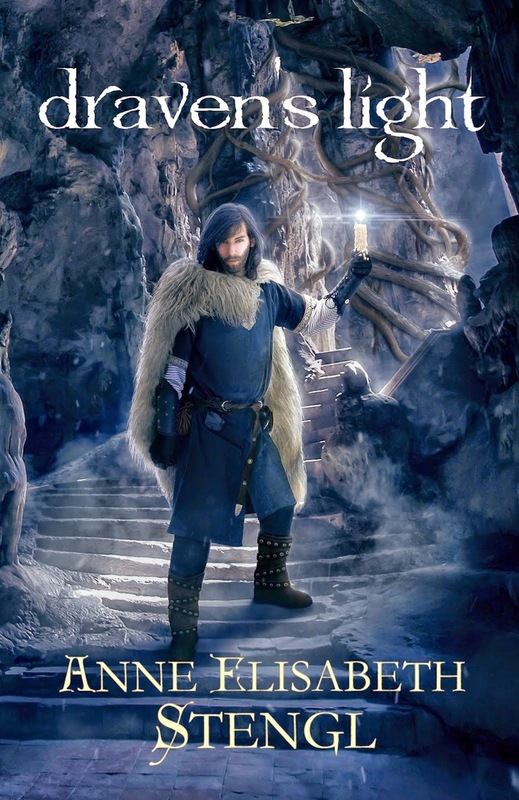 This Teen Fiction Fantasy is written for ages 13 and up. There is no profanity in this book. There is the presence of tribal customs and the belief of many gods, sacrifices, curses and acts of bravery into manhood or womanhood for that matter that do become more real when placed in the setting of a story rather than a history book. There is some graphic violence and inner struggles as well as spiritual darkness not recommended for children under the age of 13 without the guidance of an adult. There is only one mention of alcohol when somebody asks if they have had too much drink. No mention of drugs. There are no sexual implications of any kind. Any talks of relationships are pure. I thoroughly enjoyed this story and hope to have a physical copy soon so that I can read it again. Hoping for a fresh start, Hannah Wright moves to Springhill, the hometown of the father she never knew because he died in their volatile coal mines before she was born. She tracks down her aunt, Abigail Percy, and is immediately welcomed to move in with the whole Percy clan. This includes her Uncle Ray, a coal miner, and their four lively children. Suddenly, she's surrounded by more family than she's ever had in her life. The day after she arrives, the mine explodes, trapping many underground, including Uncle Ray. Little did Hannah know when she set off on this new adventure how much her family was going to need her. When the Percys face a sudden lack of provision, Hannah knows she must get a job to help them. But the only industry in town that pays enough is coal mining--and the mine company doesn't hire women. Hannah secretly masquerades as a man and gets hired as Mel, a distant cousin of her father's. Keeping up her charade is challenging in this tight-knit, 1950s town, where everybody knows one another. Hannah is placed on the team of Josh Winslow, a handsome bachelor who noticed her the moment she stepped into town. It doesn't take long for Josh to see through Hannah's disguise as Mel, but she convinces him there's no other way for her to help take care of her family. Understanding the pressure she's under, he agrees to not blow Hannah's cover--for now. Though Hannah seems to keep Josh at arm's length, he's determined to chip away at her defenses and win her heart. She resists, afraid to love someone who could die at any moment in an accident underground. Long-time miners start to sense that "the big one" is coming. Calling it a "Bump" does little to calm Hannah's fear of the impending underground earthquake, a disaster that could come any day. I have to say that not only did I relate with the characters of this book, but I laughed, I cried, I sang along (yes, you read that right, sang along), I cried some more and I fell in love with a little town in Nova Scotia and the heartache that they endured. Although many of the characters in this book are very much a part of the author’s imagination, I long to know more, to dig deeper and connect with those who are true survivors of the 1956 Explosion, the 1957 Main Street Fire, and the 1958 Bump. In my opinion, there is nothing better than a good book that features snippets of real life events because I absolutely love History. Where would we be today without it? We wouldn’t, that is all there is to it, without time, success and failure, risk and love, we wouldn’t even exist. Without the God given desire for family, community and love/relationship with one another, we would never have made it past the ousting of the Garden of Eden. So here we are, in a world full of many “what if” s and it happens that we are at a loss of how to get beyond what is happening in our lives right this moment. That is where History comes in and shows us that God is Awesome!, Love is Amazing (especially when it is the Love of our Savior) and there is Hope for tomorrow. You may ask me what does this have to do with McKay’s book Song of Springhill? Everything. When God gives somebody the ability to bring Hope and Faith into a story and that story is given to the world to see…Amazing things happen. Everybody needs Hope and Faith in something, someone, in God who is Greater than all of the things that press down on us. 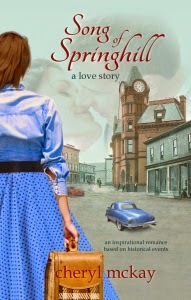 I believe that the author does a wonderful job of serving up a meal of Hope, Faith and Love, not just romantic love but brotherly love and eternal perspective in her book Song of Springhill. Well done Cheryl and thank you for sharing your gift. This Historical Romance is written for adults but suitable for teens 16 and up. There is no foul language; however, Hannah is running from an abusive relationship which is mentioned a few times but not in great detail. There is a lot of loss in this book being that it is based on traumatic events. The loss tends to be of characters we have not been introduced to but does include some we have maybe taken a liking to. Some of the loss is described, such as the mourning of the families, some of the injuries are noted and even though the men in Springhill continue to work the mines, there is always a lingering thought in the townsfolk knowing another tragedy could happen at any moment. Teenage romance and adult romance are both present in this book. Liesel is teased by her siblings when her family hears that she and Garrett kissed. She and Garret go out on a double date with Hannah and Josh as their chaperones. The entire time Josh is trying to pursue Hannah he is always respectable and sensitive to how a gentleman behaves. The owner of the town’s five &dime continues to try and woo Josh even though every body knows he is not interested in her and she pushes herself on him a little by kissing him on the cheek and strutting in front of Hannah. The relationships in this book are very admirable, minus the one that Hannah is running from. We see that not everybody we encounter is worth giving the time of day but it is handled in a respectful way and there is a lesson learned. I loved this book. I want more. I have noticed that a log of Blogs are posting that dreaded topic of Shipping Christmas Presents. I couldn't not post something for my friends and family just in case for some reason you haven't figured out what works best for you. So here it is...my best kept secret that all of my close friends and most of my family know, but do you know why? I ship presents to one address for the whole county. I have family and friends that all live within 30 min of one destination so I usually ship gifts to my dad's house and then everybody at least has to stop by and see him once if they want their gift. It is a win win for all :) Those who do not fit into those guidelines get individual packages, but I usually find that the best rate for what I am doing-handmade items-is flat rate shipping through USPS. If I am ordering through an online company, I let them do the shipping for me :) Why pay double duty when I can do it just once, I figure the shipping box is Christmas wrapping in itself :) Nobody seems to mind. However, if your items do not fit into a flat rate box, and it needs to go in a large box, be sure to us UPS either online or at your local store because their rates beat large shipment rates at the local post office hands down. No offense to my friends who work at the Post Office, it is just a real life fact. One thing I didn't know that I found out by reading One Good Thing By Jillee is that online stores offer free shipping when you order on Dec. 18th for that day only. Not all online retailers participate mind you so if you are in a hurry, don't wait, however, Jillee did state that they promise to have delivery by Christmas. I will bore you no further with the promise of holiday costs. I am off to do my Devotions and after that, wake up my boys. A quiet house is never that way for too long. Have you ever read a book by Brock Eastman? No? You really should! He takes you into an entirely different world full of truth, real life struggles and intense reality. Please take a moment to check out his Kickstarter campaign for The Sages of Darkness series here. My kids love stories about darkness, I think we all do, it lures us. It's really hard with some of the books they want to read because I have to turn them down. I would never turn down a Brock Eastman book. They always lead you straight to the Truth Himself. As a family that loves books and wants to keep to the Word in "be careful little eyes what you see", Brock does an A++ job at clean and virtuous writing. Thanks Brock! And please, be sure to check out his Kickstarter campaign as well as his Facebook page. "When Dr. Joy Gilbert is fired from her lucrative position in the city, she returns to her small hometown to find her ex-boss’s 15-year-old daughter popping out the back door of her car. Tressa refuses to return to the city where her divorced parents are battling in the wake of her brother’s death. Instead of the peace Joy seeks, she finds her former fiancé, Zach, single again, and her once vivacious mother struggling financially and physically. Tressa’s rebellion threatens Joy’s career, but that threat becomes secondary when it appears that Tressa suffers from a life threatening illness. Joy and Zach must learn how to heal their emotional wounds to save Tressa’s life." 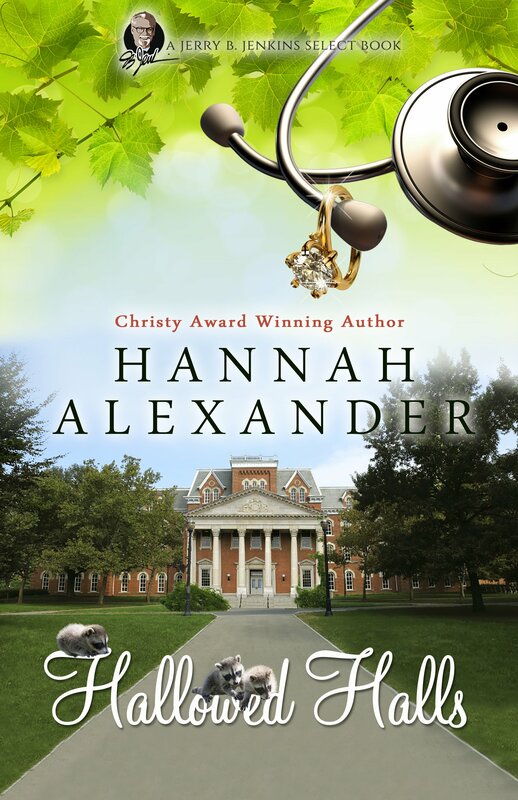 This Medical Romance/Family Drama is written for adults but suitable for teens 16 and up. Hallowed Halls shows the real life struggle that happens when a person is emotionally injured by “The Church” as well as people close to them. The husband and wife author team brings into the story the themes of Faith Lost and Restored, Hearts Healed by Truth Revealed, and Greater Purpose-the ability to look beyond our own selfishness and see that there are others that need us and we need them. Communication or the lack of is usually at the root of our relationship problems. Whether we are fighting with our parents, spouse, children, best friend, or boyfriend/girlfriend, it usually boils down to poor communication. After reading this book, I found the main gem for me to be the importance of being “swift to hear, slow to speak, slow to wrath” –James 1:19. There is no foul language, however, there are adult relational issues that rise up as well as an act of violence described and real life health situations that make this book sensitive for young readers. There is talk of not “putting out” to retain her job by Joy. Very little kissing is spoken of and sexual purity is maintained throughout the entire book. Weston shows up to Joy’s house and has been drinking. The Pain Clinic Joy works for at the start of the book prescribes Narcotics to patients. Joy has a problem with her boss wanting her to “push” narcotics onto her patients as an answer to all of their problems. Overall, I really enjoyed this book and would encourage others who like a good Uplifting Romance to dive into this one. This is an extension of my previous post of the book On the Edge of the Dark Sea of Darkness. I have found that many families are unaware of the land of Aerwiar and the multifaceted Igiby family. I am hoping to draw some attention to their adventures by giving another dangle in front of your beautiful faces. At first it was difficult for me to have a spare moment to make any headway in the lives of the Igiby's and the very unique land of Aerwiar. That was only because interruptions by my children made it hard to concentrate on the opening details that lead you into a world of fantastical creatures and a thought provoking way of life. The only fix was to read the books as a family. In Book One of the Wingfeather Saga: On the Edge of the Dark Sea of Darkness, Andrew Peterson takes a the Igiby family (Janner, Tink, Leeli, Nia, Podo and dare I say one more? No, I will leave that for you to find out.) on the greatest adventure of their lifetime. There is danger and excitement around every corner. Just when you think the coast is clear another (Thwap shows up? No.) twist changes the entire foreseeable future and you are left on the edge of your seat, only to beg for a break in the story so that you can put the book down to use the restroom. Yes, it is that Awesome of a book! A direct quote from my twelve year old son Alex, "Mom, I liked the Lord of the Rings books, but the Wingfeather Saga is exciting from page one!" There are Sea Dragons, Thwaps, Toothy Cows, Fangs, Gnag the Nameless and a trusty dog named Nugget. I wish that I could tell you more, but I would ruin the wonderful time that you and your family will be able to embark on if I do. And believe me, I remember each and every moment sharing this story with my family. So, are you ready for a new kind of adventure that will leave you wanting to be a part of the Igiby family? The excitement we had each night as we snuggled up on the couch to enter into the town of Skree. Within the walls of this story lies such adventure and thrill that will capture hearts young and old. I rank Andrew Peterson's books right up there with C.S. Lewis's Chronicles of Narnia. Now that I have gotten to know the Igiby's and their thwap filled garden, I cannot imagine my library without them in it. **This series is suitable for children ages 10 and up. There is some violence, although nothing I think a seasoned reader of The Chronicles of Narnia couldn't handle. I do not suggest a child younger than 10 reading these books only because there are moments of intensity that could bother them. On the Edge of the Dark Sea of Darkness is good, clean, moral and I believe instills the longing for honor and valor in those who read it. There are tests of faith, choices with consequences and opportunity to make things right. Though we read this as a family, I feel completely confident that a child age 10 or older could read this book and or the entire series without guidance. If you are a parent and thinking of letting your child, younger than 10, read this book or even the entire saga, I recommend that you read it first and make your decision after that. Only you, as a parent, truly know what is and what is not acceptable for your child to read. To purchase this book please visit the Rabbit Room. Purchasing a book from the Author's store blesses the Author more financially. However, you may also find the book at Amazon as well as Barnes & Noble. There once was a young lady named Meagan. Who had a little boy named Alex. She met a young man named Daren. Who had a little girl named Jillian. They thought, what could be more fun than to marry and make a life where there is little rain and a whole lot more sun so they joined together in Holy Matrimony. While winter nights were cold they found they would hold another little one in 10 months. Little Luke is his name and since then, life has not been the same, running and chasing all over the place. May God's Grace cover us all as we heed to the call to raise our kids up in His truth, encouraging them to seek His face.